NASA released a new (and gorgeous) set of Pluto pictures from its recent New Horizons fly-by—and they’re our best look yet at some of the strange terrain of the erstwhile planet. Here’s the full set of Pluto pictures—plus one bonus planetary portrait of Charon, included at the very bottom. 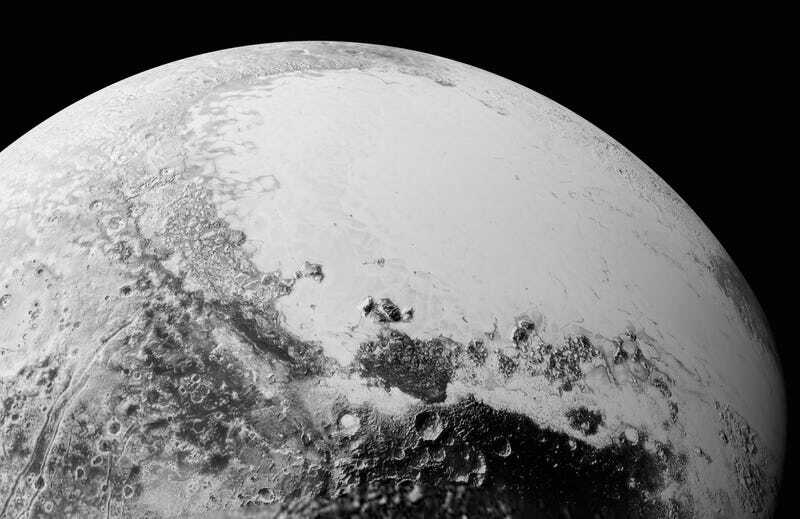 The set of high-relief photos focuses on surface details, including a close-up look at some Pluto chaos terrain, Pluto during twilight, and the haze around Pluto in profile.